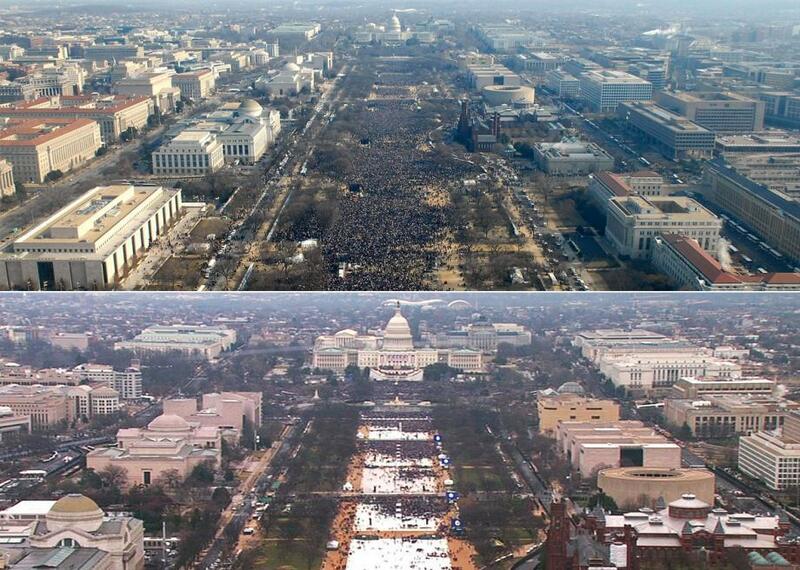 Can you tell the difference between these two inauguration photos? One of these is a presidential inauguration in 2017 for a man named Donald Trump and the other is from 2009 for a man named Barack Obama. Can you tell which?